Issa Blanca Client Comments, Reviews and Testimonials. 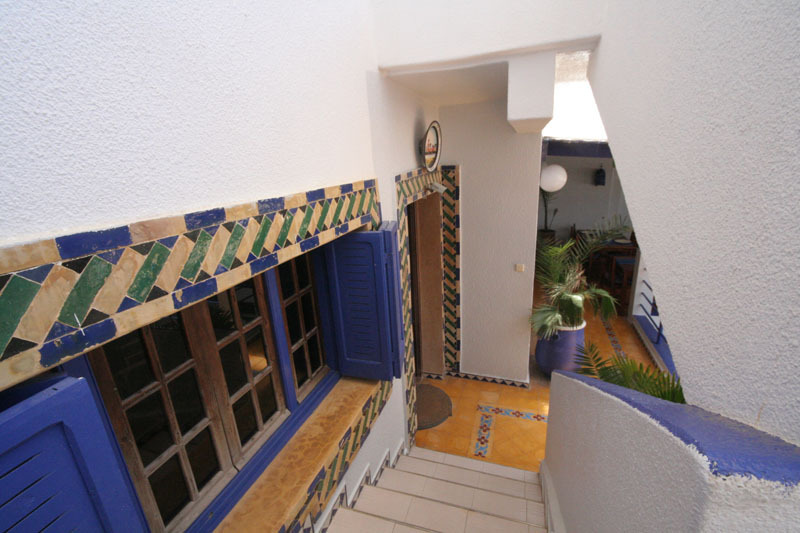 Book Issa Blanca Today with Hip Morocco - Holiday Accommodation in Oualidia, Morocco. 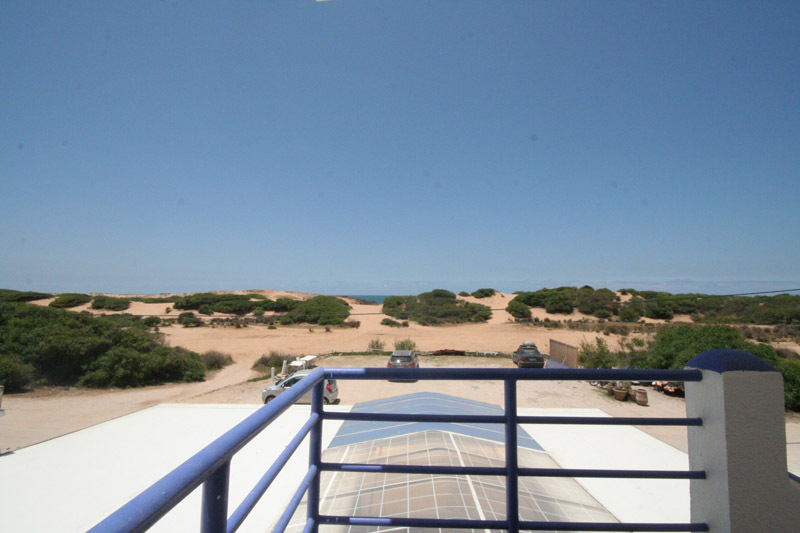 "Beach front property in wonderful secluded area of Oualidia"
Located at the secluded far end of Oualidia beach Issa Blanca is fronted by large sand dunes leading to the beach with a isolated small shallow lagoon. 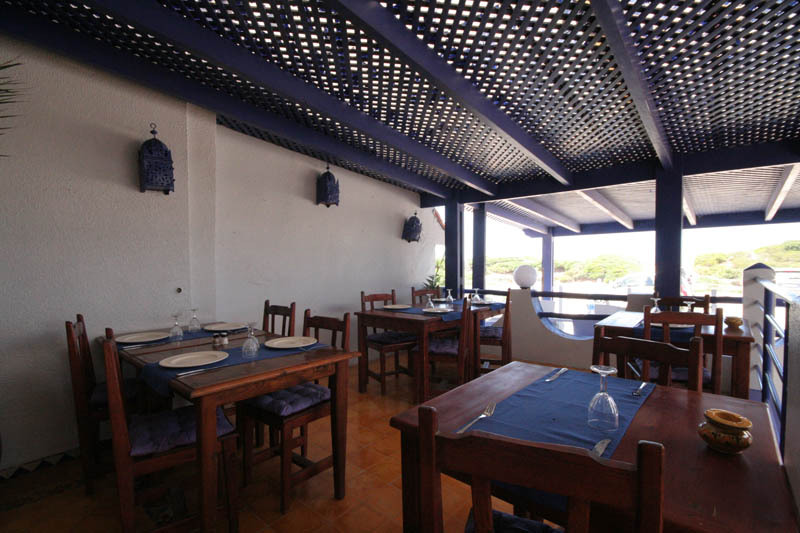 Issa Blanca is a lovingly prepared Moroccan/ Mediteranian styled property with a restful beach café ambiance. 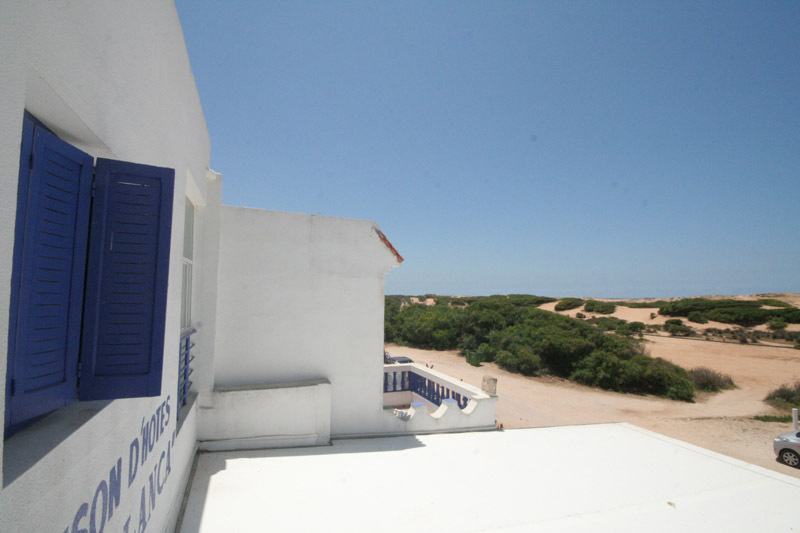 The 5 rooms at Issa Blanca are humble yet nicely presented in a simple beach hut style, 3 of which have sea views. The rooms are cosy and all have ensuite bathrooms with showers. 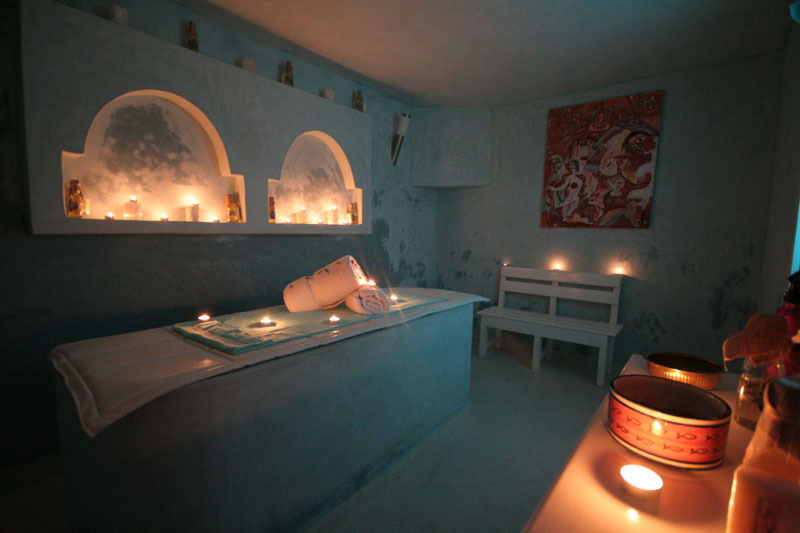 The newly created spa onsite at Issa Blanca, is a somewhat rarity, and has been beautifully crafted with tadelakt massage table and spacious blue and white tiled hammam with a selection of humble superior hammam products including massage oils created personally by the wonderful owner Nadia. 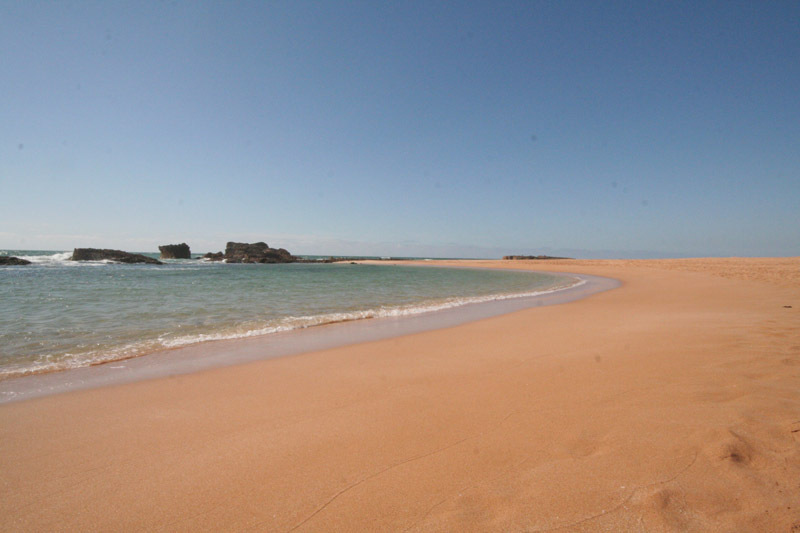 Perfect for a relaxing beach holiday in Morocco or a romantic getaway in Oualidia. 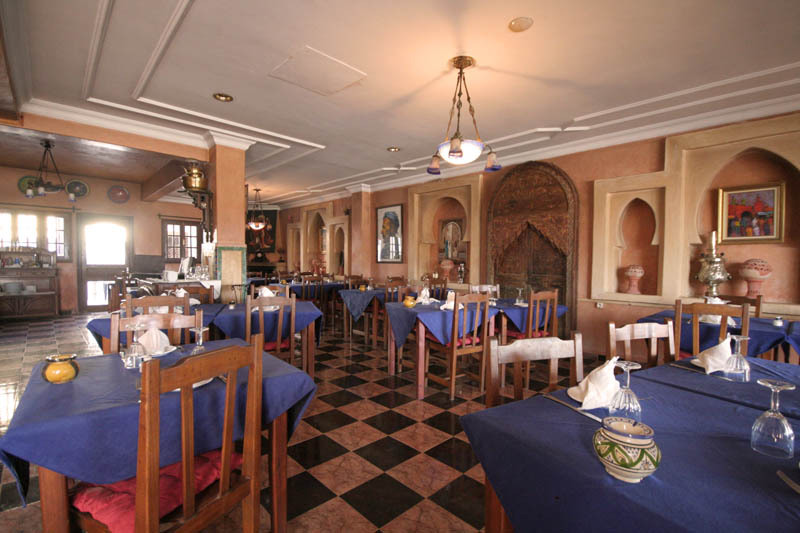 The ground floor restaurant has a distinct atmosphere, styled in a rustic Greek mediteranian/ Moroccan fusion taking the very best from both, resulting in a wonderful seafood restaurant in Oualidia. 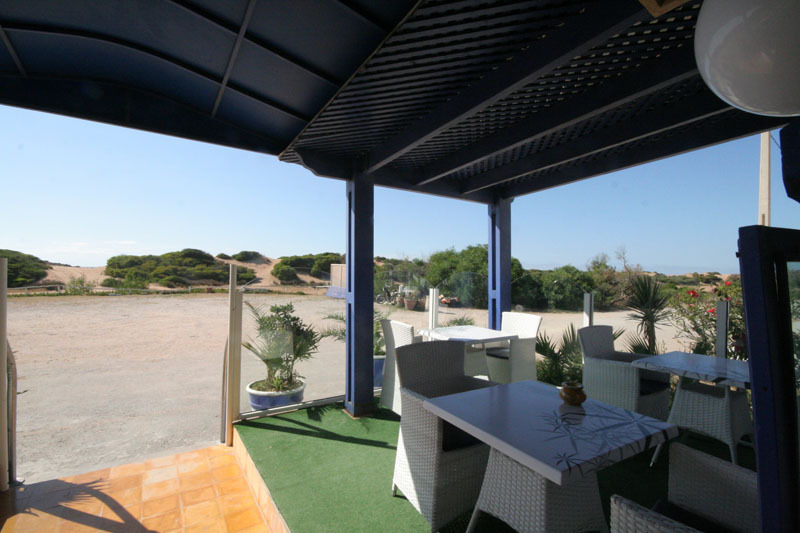 This Oualidia restaurant has exterior covered seating in a lazy beachside café style with a very relaxed atmosphere and European charm. 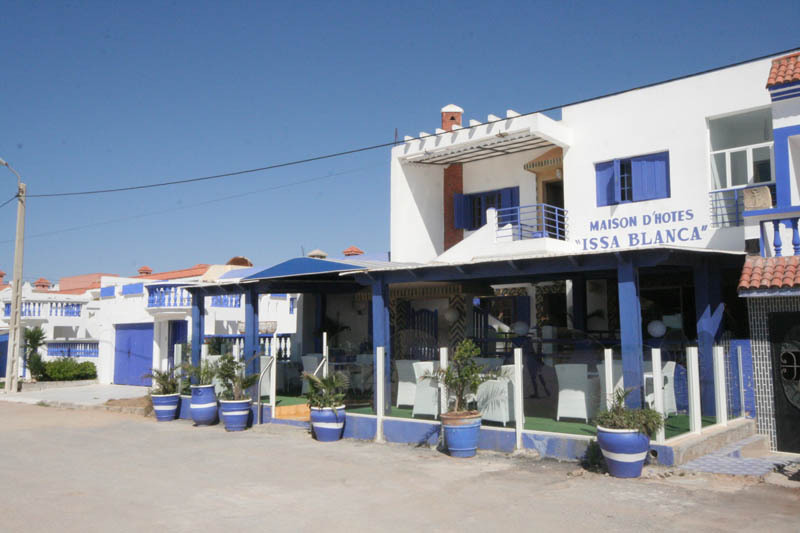 Nadia, Issa Blanca's dynamic owner welcomes you in her open restaurant to enjoy some of Oualidia's most succulent meals. Whether you feel like trying out seafood or having a go at some of Morocco's best specialties, the food is always fresh and prepared with love. 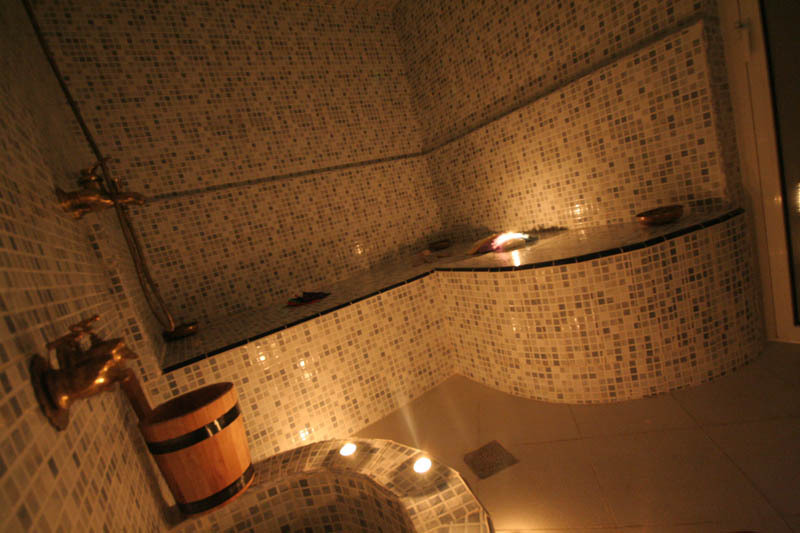 New addition to the hotel, the traditional Hammam and Spa at Issa Blanca is available every day upon request. Nadia mixes her own massage oils to ensure you come out of the spa perfectly relaxed. 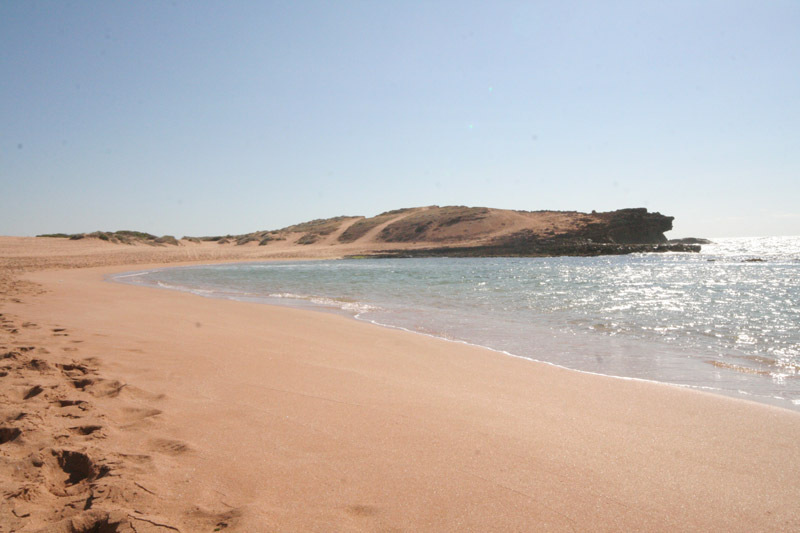 Located at the far end of Oualidia on a quiet stretch of beach populated partially by a small fishing community with their stirdy Atlantic motor boats and small shallow secluded lagoon. 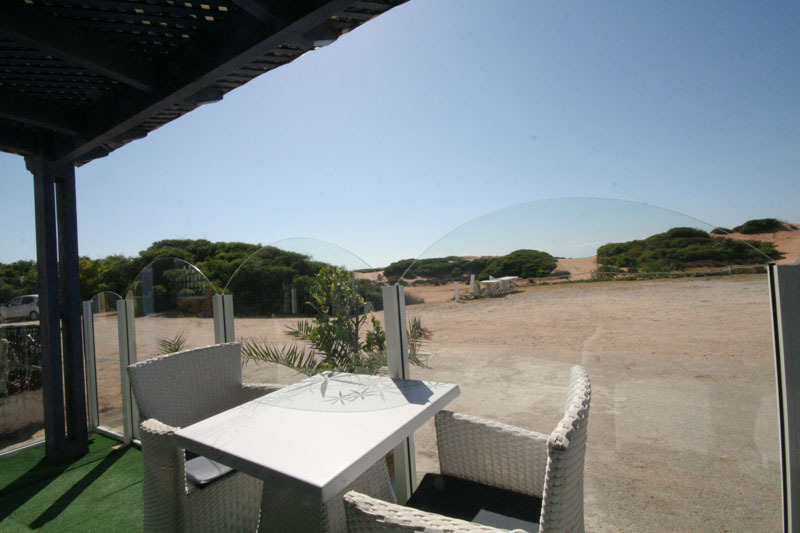 A 5 minute walk to the lagoon of Oualidia with some excellent cafés and restaurants, and a 20 minute walk to the main central high street with a more local beachside feel to it. 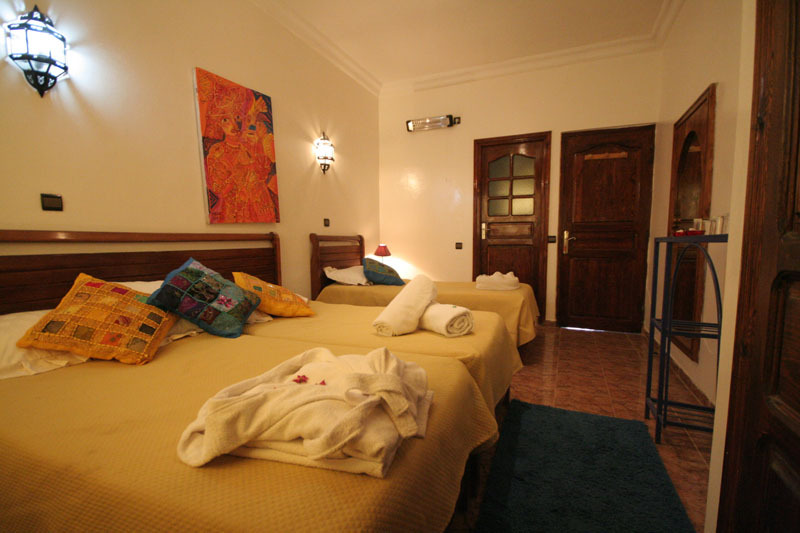 The 3 double rooms at Issa Blanca are cosy with a large double bed humbly furnished. The windows have wonderful Green tavern styled blue shutters and the room is in keeping with this simple relaxed Mediterranean style. They have a small collection of interesting international artwork on the walls and cosy floor rugs. 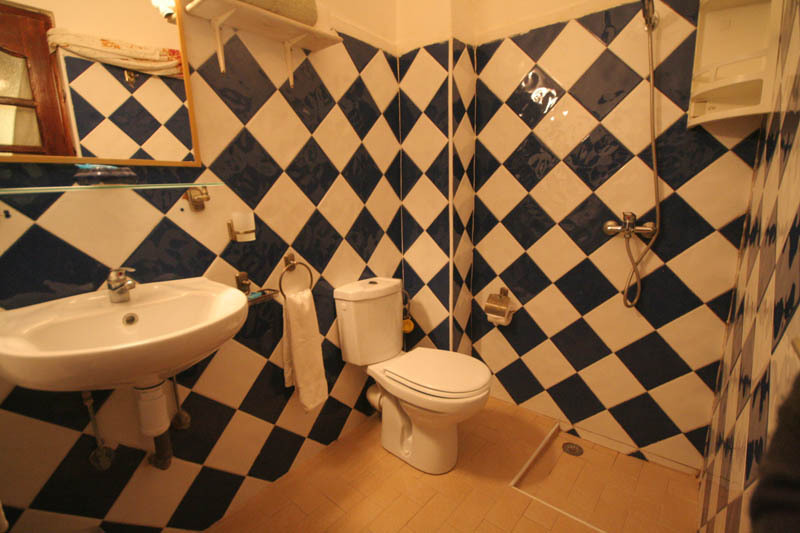 The bathrooms of these rooms at Issa Blanca are cosy, and simple with a shower and intimate atmosphere. The double rooms have tv‘s with satellite. 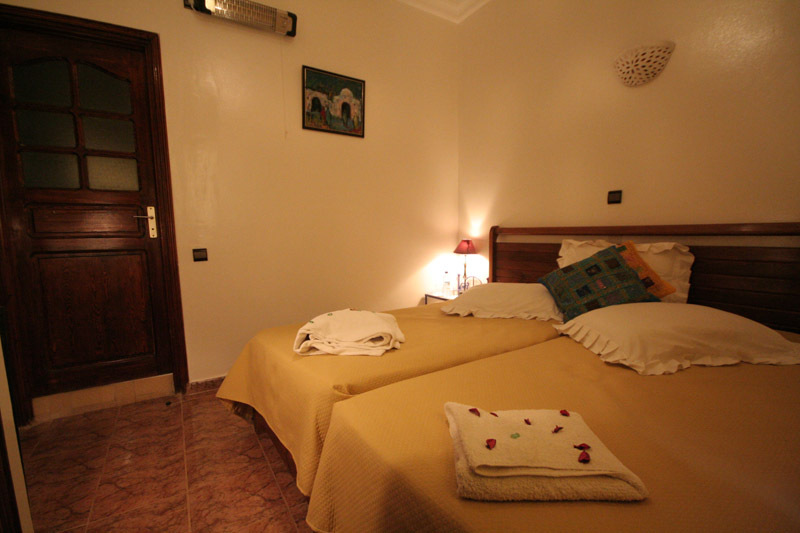 The two triple rooms at Issa Blanca are larger with the option of a double and single or 3 single beds. These rooms are styled in a simple beachside hut style to suite a purpose. 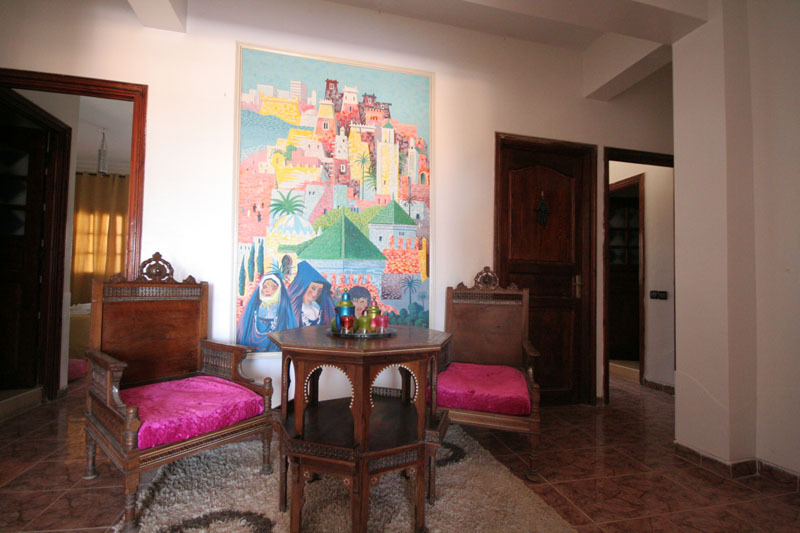 A small collection of colourful artwork from around the globe and good lighting makes these rooms a good choice for a small family holiday in Oualidia where guests want to enjoy the beach and relaxed atmosphere of Oualidia town. 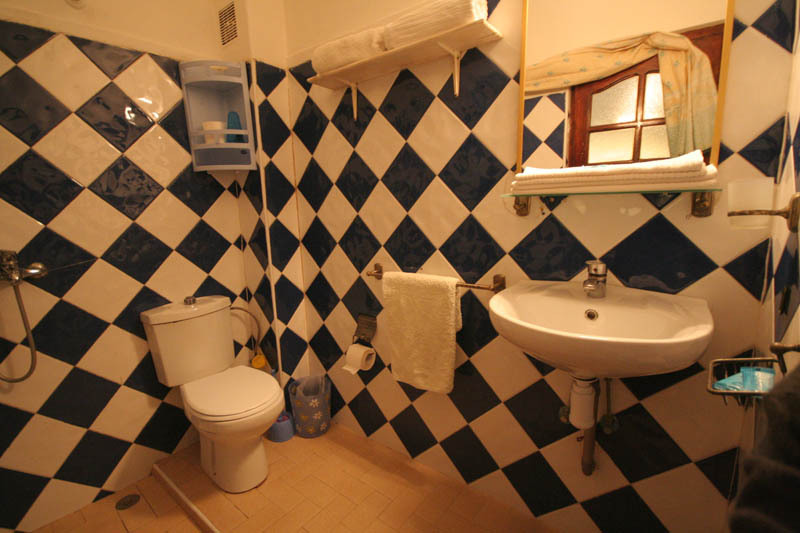 The bathrooms are cosy with simple shower and blue, white wall tiles. Theses rooms at Issa Blanca have tv’s with satellite. 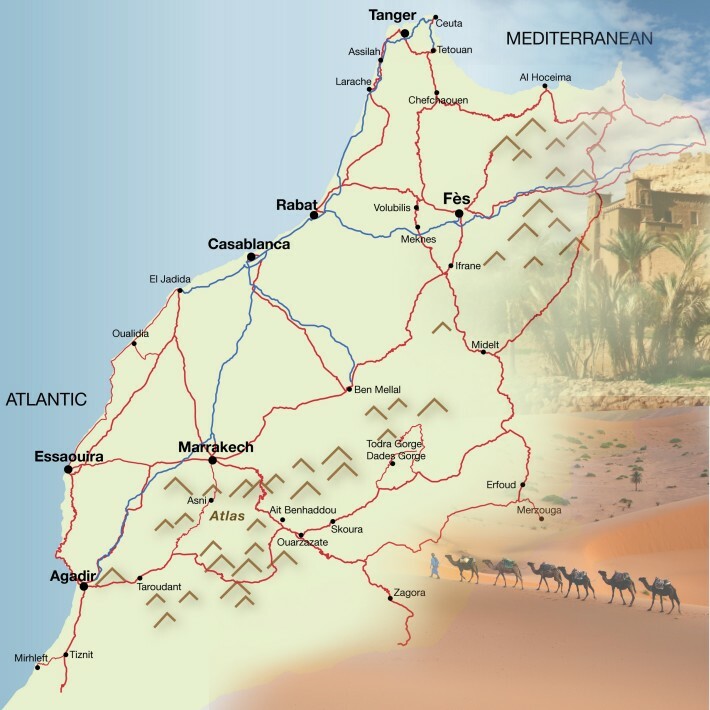 The base rate price at Issa Blanca is in pounds, euros, or Moroccan dirhams and exchange rates are approximate.